For some of you younger gamers, your marathon playing sessions might have taken place around an XBox and Halo multiplayer. For others, it could have been a PS3 and Modern Warfare. 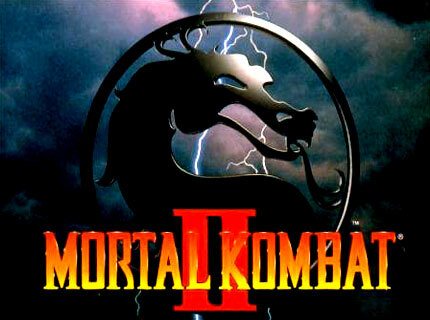 For those in my generation, it was Mortal Kombat. Sure, we played a lot of Street Fighter, Tekken, and Virtua Fighter, but the coup de grace was Mortal Kombat. Just as with Grand Theft Auto, our desire to play Mortal Kombat was inversely proportional to our parents' desire to keep us away from it. This was the first game to add in a bit of the old Ultra-violence to keep kiddies coming back for more. I'm sure many of you are already recalling fond memories of the places you spent days upon days of your life playing this bloody and beautiful game with its over-the-top murderous "fatalities" and masterful control scheme. For me and my crew, it was "The House." 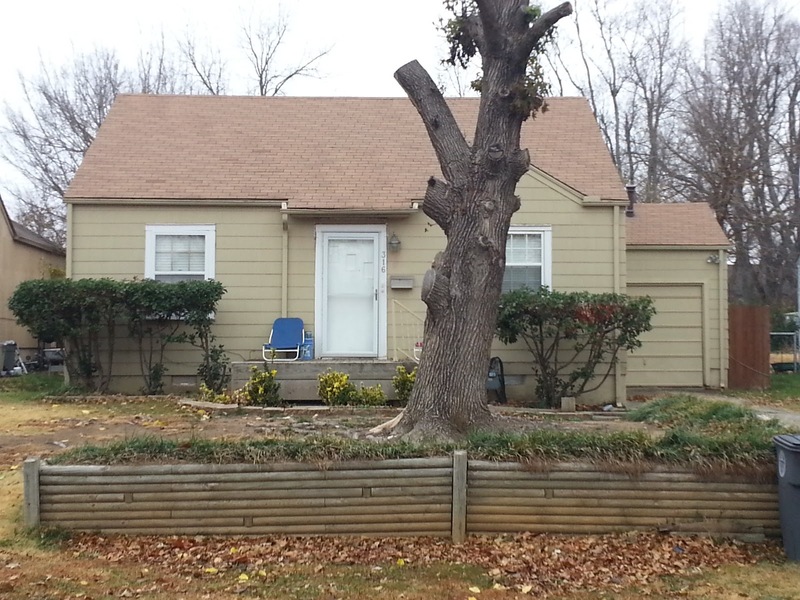 Five friends rented a house from one of their moms the summer after we graduated from high school. While it was Brandon's mom's house and it had been rented by five different friends, we never referred to it as "Brandon's mom's" or "The place the guys rented." It was simply known as "The House." This little two-bedroom, one-bath may look unassuming, but it was the site of thousands upon thousands of battles to save Earthrealm from Outworld and its evil emperor, Shao Khan. 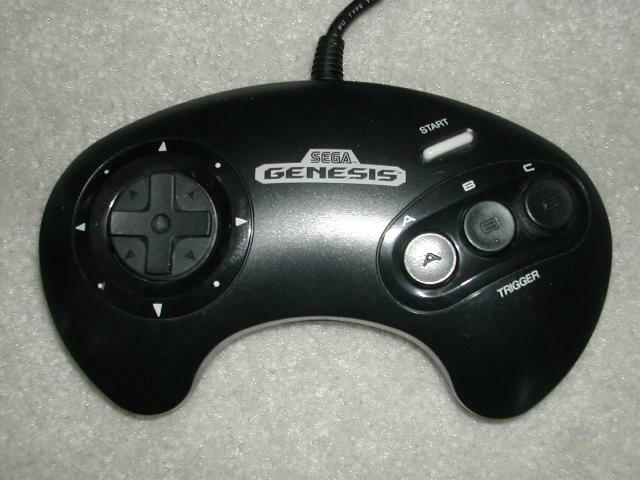 For an entire summer, we played MK2 on my Sega Genesis from 9-10 a.m. until somewhere between 2 and 4 a.m. No exaggeration. I wasn't there for every last game, but they were a constant in our little pre-college gathering place nearly every single day. If you weren't there for the beginning, which usually consisted of only the tenants and one or two people who might have passed out, you just found a seat when you got there and entered the rotation. The marathon was simple: Win and you keep your controller, lose and you pass it to the next person. With the plethora of buttons and spectacular graphics in today's games, it's sometimes hard to understand how our attention was held for eighteen hours at a time by something with such basic graphics and such a simple controller, but it happened. Yup, three buttons. And we knew every last special move and fatality, even some of the stranger additions like "babalities" where opponents were turned into babies upon defeat. 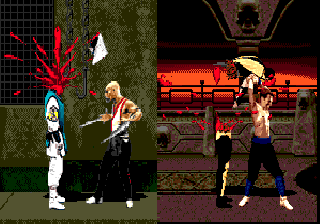 One of the major attractions to MK2, as mentioned before, was the over-the-top violence. Removing someone's entire skull and spine with one carefully timed mash of buttons? Even today that's pretty sweet. My love of fighting games started, as I'm sure many of yours did, with Street Fighter. It had state-of-the-art graphics, more buttons than anything we'd ever seen, and a plethora of special moves that were easy to master given a small amount of effort on the player's part. You didn't need to master all the characters, just get Blanka nailed and you stood a chance. However, there was something missing. Sure this game was violent, but I was in my upper teens. There isn't a less-desensitized group on the planet than 18-year-olds. These people are old enough to be on the cutting edge of everything technology has to offer in the way of weird, and they're too cool to be put off by any of it. If you have an 18-year-old, stay off their computer and be thankful you haven't seen the things they've seen. It's a brutal, disgusting, melange of reasons the human race should no longer exist. Trust me. In my later teens, I was the same way. Tarantino couldn't make me cringe and neither could Ryu and Ken. Into that void stepped Mortal Kombat 2. This was everything I wanted in a game. Violence beyond the scope of reality. A tense gaming experience with seemingly endless ability for player improvement. Public outcry from concerned parents. MK2 had it all! I would guess it was the nearly endless ability to improve your skill by learning new characters' special moves and fatalities that, along with the extreme violence, leant this game to marathon sessions of nearly twenty-four hours. The same could be said of today's best multiplayer games. Modern Warfare allows for nearly endless improvement of your character with its leveling and the ability to "Prestige." Halo has taken it a step further and allowed players to create their own maps, thereby providing endless options for gamers who prefer a long-term commitment over campaign-based games that, once completed, aren't good for much beyond a second playthrough with the exact same story line and outcome. 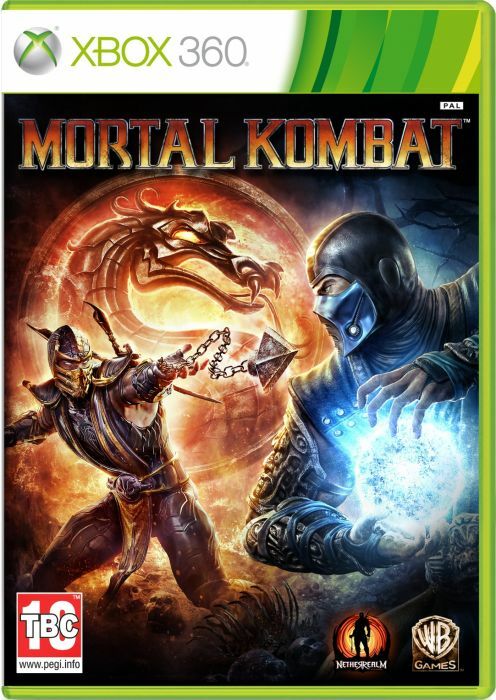 I've picked up the newer iterations of Mortal Kombat and Street Fighter. While they have definitely done a massive overhaul on the graphics and these games provided a certain level of nostalgic fun, I'm afraid the magic is gone. I, like many non-classic gamers, have moved on. We've come to expect more from our games than simple gore and special moves. We want an immersive experience with a plausible story to boot. We've simply grown up, right along with our video games. That said, the only games that come close to MK2 when comparing basic time spent for me are the Elder Scrolls. Other than that, nothing comes close. I had a few marathon days with Oblivion and some 12-hour sessions in Skyrim, but nothing like the good old days at The House playing Mortal Kombat 2. One drawback to online gaming is the inability to whack the controller out of an opponent's hand if you're losing, but enough people still play each other on the same couch that this time-honored strategy gets some use, even today.To you younger gamers out there, enjoy your 16-hour MW3 multiplayer sessions with all your friends. You may not be playing together at The House like we did, instead taking advantage of today's technology and sitting in the comfort of your living rooms. Still, games will never be as completely life-consuming as they are right now. Enjoy it! Bonuses: +1 for being the most violent game released at that point in time. This was the 2 Live Crew of video games. They were holding hearings in the House and Senate because of this game. The only thing that comes close to the impact MK2 had on gamer society is Grand Theft Auto. This is one of the historic landmarks in gaming history, for better or worse. Penalties: -1 for having a plotline that worked okay in a video game setting, but translated to film about as well as Spider-Man is translating to Broadway. Nerd Coefficient: 9/10. Very high quality/Standout in it's category.